Every year tax loss season brings about opportunity for those who have some dry powder and the foresight to buy stocks, which have underperformed year-to-date (and, in all likelihood, have ugly charts). The criteria for my 2017 tax loss shopping list is simple: The stock is down at least 10% year-to-date, if offers compelling value, and has seen selling pressure due to tax loss reasons. Moreover, I like the fundamental stories and the longer term charts (weekly/monthly). Adamera Minerals (TSX-V: ADZ, US-OTC: DDNFF) - Adamera has been a disappointing stock in 2017, which I believe has already led to a significant amount of tax loss selling. The company released some of its best news of the year Tuesday morning with grab samples grading 64 g\t, 37 g\t, 30 g\t, 7.8 g/t and 2.1 g/t gold. “The samples were taken from what ADZ describes as old prospect pits. Management described them to me as being narrow but deep, almost like shallow wells and that most had mature trees growing from them. In other words, they clearly predated activity by Echo Bay or Kinross, and there is no evidence either company saw or sampled the material. At C$.12 or below, I believe ADZ shares offer attractive risk/reward for an exploration company with numerous prospects in a top tier jurisdiction. Altiplano Minerals (TSX-V: APN, US-OTC: ALTPF) - Altiplano is a tiny company that punches way above its weight. Led by CEO John Williamson (co-founder of Kaminak Gold, which was sold to Goldcorp for C$520 million), Altiplano has rapidly advanced its 50/50 JV Chile projects (Farellon and Maria Luisa) to the point that APN has begun removing mineralized ore from Farellon as part of its toll milling strategy. Altiplano does not have a 43-101 compliant resource estimate for Farellon, which means the company cannot publicly state that they are mining, however, Altiplano is confident that there is at least 300,000 tonnes of mineralized ore grading an average of 2.5% Cu and .5 g/t Au. Colorado Resources (TSX-V: CXO, US-OTC: CLASF) - Colorado has been one of the bigger disappointments of 2017. Since peaking above C$.40/share in September, CXO shares have been more than halved. While investors appear to have set the bar too high for CXO during 2017, Colorado still has a large and highly prospective property package primarily focused in the Golden Triangle of British Columbia. More drill results are still to be released from the 2017 exploration program, and the recent decline has reset expectations to a level that CXO can more easily surpass in 2018. Fiore Gold (TSX-V: F, US-OTC: FIOGF) - This stock has been beaten to a pulp. 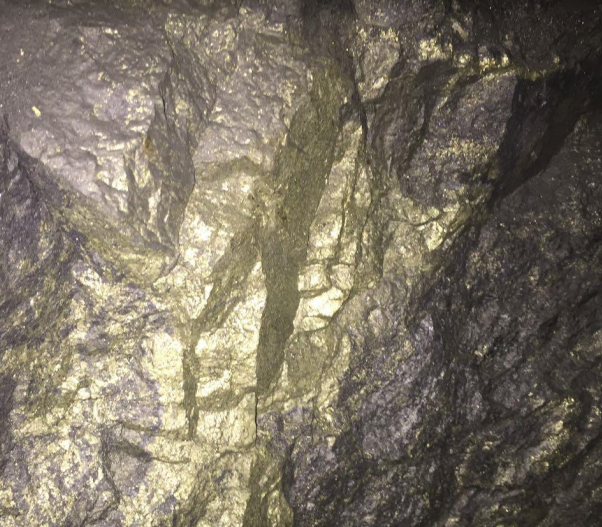 The market has now set the bar so low for Fiore Gold that any upside, in terms of production results at Pan OR exploration success at Gold Rock should be handsomely rewarded. 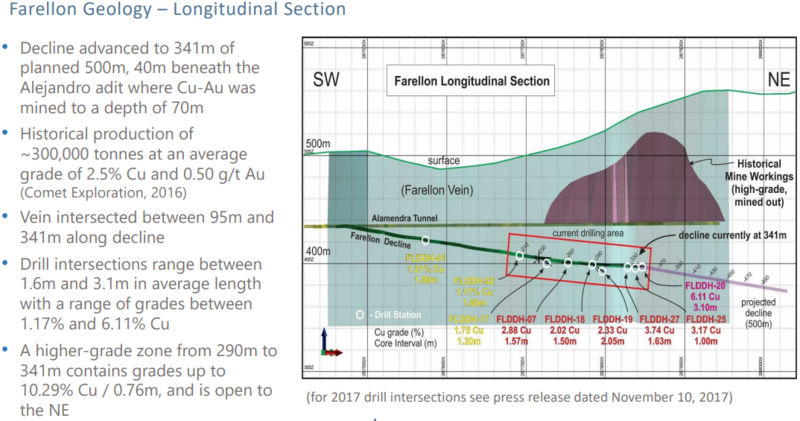 While Pan gives Fiore solid cash flow (the company has said it will produce between 35,000 and 40,000 ounces of gold during fiscal 2018 at Pan), the real upside juice will be in advancing the Gold Rock Project (Gold Rock has a historical resource of 343,000 ounces Au consisting of 18.1 million measured and indicated tonnes of 0.58 gram gold per tonne, and another 409,000 ounces Au inferred consisting of 30.5 million tonnes grading 0.41 gram gold). The 2012 historical resource estimate only covers 3 kilometers of a more than 10 kilometer trend. At C$.68 per share, Fiore has an enterprise value of roughly C$45 million (~C$20 million in the treasury), that’s cheap any way you slice it for a company that has a pretty clear path to having a million ounces of gold in the best mining jurisdiction in the world (Nevada). Osprey Gold (TSX-V:OS) - Another name which has had a challenging 2nd half of 2017 after the ‘bar’ was set very high earlier in the year. Osprey’s 2017 exploration program (from which drill results are still expected to be released over the coming weeks) was far from a disaster, but it did not yield the sort of home run which investors may have hoped for. At C$.10 per share, Osprey’s C$2.8 million market cap is not giving much credit for a future economic discovery. I believe that Osprey learned a lot about the geology of its Goldenville, Miller Lake, Caribou projects during 2017, and this education will be put to good use during 2018. While there is a good possibility that Osprey will have to do another financing during Q1 2018, expectations are so low that the risk/reward proposition at C$.10 per share or below has probably never been more attractive for Osprey Gold investors. Disclosure: Author is long all stocks mentioned in this article at the time of writing and may buy or sell at any time without notice.